So how does it sound, already? 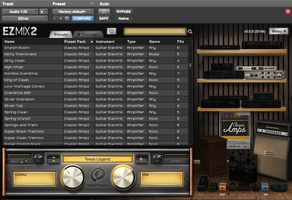 Toontrack recently released a new collection of amp models with effects called the Classic Amps EZmix Pack, which can be opened as presets in the company's EZmix 2 software. How do these emulations stand up in the competitive amp-modeling category? EZmix 2 is a plug-in (Mac/PC all major formats) or standalone effects processor that provides many and varied preset effects and multieffects chains with minimal tweakability. The idea is to allow musicians with limited mixing experience to get good results, fast. In addition to its standard collection of presets, which includes processors like reverb, delay, EQ, compression and modulation effects, it also offers effects chains designed for specific instruments, and even individual drums. In the past the company has released packs for everything from guitar and bass to mastering, as well as producer packs from Chuck Ainlay, Mark Needham, Neil Dorfsman and Randy Staub, among others. Classic Amps, which is the forth guitar-specific EZmix pack to be released, gives you 50 presets covering a variety of modeled amp sounds, with effects, for rock, pop, and country. 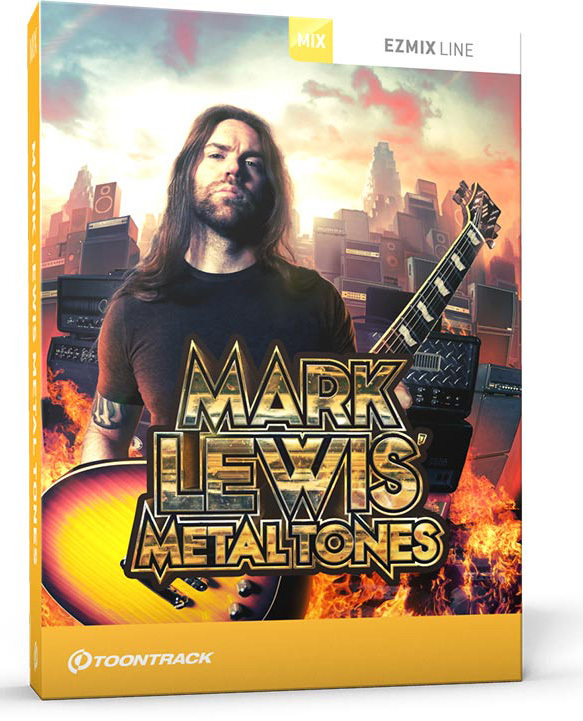 There aren’t any high-gain metal amps in this pack, because Toontrack has covered that in two other EZmix packs: Metal Amps, and Metal Guitar Gods. Assuming you already have EZmix 2 installed, and have installed and authorized the Classic Amps EzMix Pack, accessing the amp sounds is as easy as inserting the plug-in on your guitar track and selecting a preset. Like with all the other effect types in EZmix 2, you have only two adjustable parameters for each preset, which are represented in the GUI as a pair of large knobs at the bottom. What’s available to adjust depends on the preset, and includes standard parameters like gain, effect amount, EQ and more. For example, the Alnico Reverb preset offers Drive and Reverb amount and the Blastin’ Blonde preset gives you Delay and Tone. Not all the parameters are standard, though, a few presets have some rather obscure ones such as Contour and Vibe, which are in the Texas Legend preset. Other EZmix 2 interface controls include a Preset Filter, which can be hidden if desired, which lets you select an instrument type and genre, to narrow down your preset choices. The preset list itself can be sorted by a number of categories including Name, Preset Pack Instrument Type, Genre, and the number of effects in the chain. You also have an Input level control that can be locked at a desired setting, an Output Control, and a Favorites button, which lets you mark a preset so that it shows up in the separate Favorites menu. 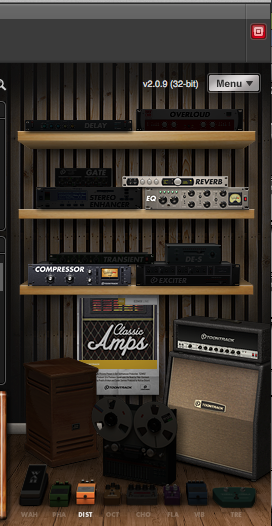 On the right hand side of the EZmix 2 window is a 3D graphic depiction of a bunch of rack effects on shelves above an amp head and cabinet and a row of stompboxes. Depending on which effects are in the chain of a particular preset, the appropriate rack effects or stompboxes light up. The labels, on the pedals especially, are a little on the small side making them hard to read. The whole display might have been better without the 3D graphics, with more readable text to show what’s active. For the most part, I was impressed with the quality of the modeling and effects in the Classic Amps EZmix Pack. There are emulations of quite a number of different amps from Fenders to Marshalls to Vox to a Mesa/Boogie and more. As with other modeling software, the presets have names suggestive of what they are modeling, but not using the actual manufacturer and product name. Unlike some amp-modeling plug-ins, which can be overly bright and present, the EZmix models struck me as a bit rounder on top overall, which, to me sounded very authentic — more like a real miked amp. I was particularly taken with the clean amp sounds, which are often tougher than distorted ones to successfully emulate. For the following examples, I was playing an ESP Strat with Lace Sensor pickups, going direct through a FMR Really Nice Preamp through a MOTU 828mk3 interface and then into Pro Tools. In one example, a lap steel was used. First up is the Alnico Reverb preset from the Classic Amps pack, on a clean electric part. Here’s Super Black Tremolo, which I assume to be a Blackface Super Reverb. 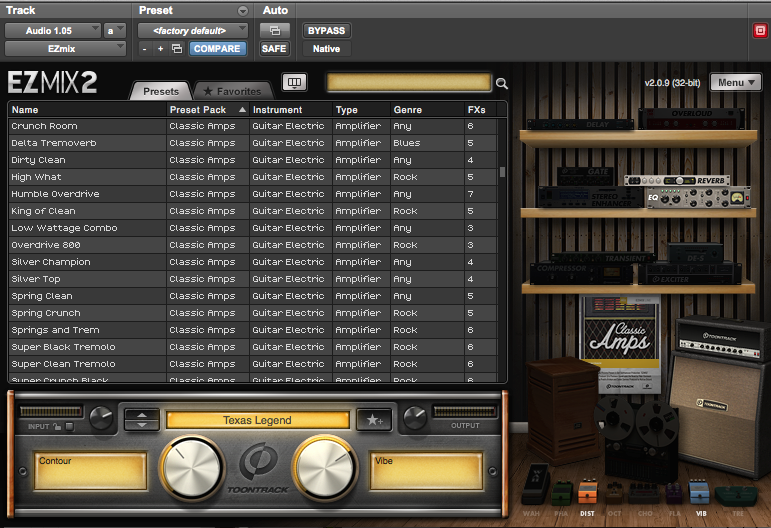 It’s got a little more grit than the one in the previous example, but is still a very good clean-amp emulation. Here’s another Super Reverb-like preset, this one crunchier. The Marshall emulations were not as strong as the Fender ones, in my opinion. My favorite was UK JMP Stack. In general, I liked the clean and crunchy sounds in the Classic Amps Pack more than the higher gain ones, of which there aren’t that many. One cool one is California Slider, which you hear in this example, played on a lap steel. You also get this Mesa/Boogie preset (California Hi-Gain), which doesn’t have quite as much gain as I would expect, despite its name. There are plenty more to choose from in the pack, including emulations of a Hi-Watt and a Vox AC-30, both of which seemed a little too understated for my taste. There are also quite a few presets for which you can’t be sure from their name or tone exactly what amp they were modeled from. But most sound good, and would be quite useable in a recording. While I was happy with the sound of the amps overall, I found myself frustrated a bit by EZmix 2’s limited adjustable parameters. With amp models and effects, in particular, it feels a little strange to be so limited in what you can adjust, and have no control to turn on and off effects. Of course, there’s nothing stopping you from inserting other plug-ins on the same track, which is what I did that when I wanted to get more from a preset than was possible with the included effects and adjustable parameters. In most amp modelers, you can separately select amps and cabinets, but in this pack, the combinations are fixed. That means you can’t mix and match them, which is one of the fun and creative aspects of amp modeling software. If you already own EZmix 2, then the $49 cost of the Classic Amps EZmix Pack is a bargain, and gives you a lot of authentic amp-and-effects sounds that you can instantly insert into your DI guitar tracks, either during tracking or after the fact. If you have to buy EZmix 2 and the Classic Amps Pack, then you might prefer to use the money for a dedicated modeling plug-in instead, especially if you like to be able to customize your settings. There’s no question that Toontrack has, as usual, created a quality product, one that can hold its own sonically with the major amp-and-effects modeling software packages on the market. My favorite aspect of the Classic Amps Pack is its realistic, un-hyped tone. 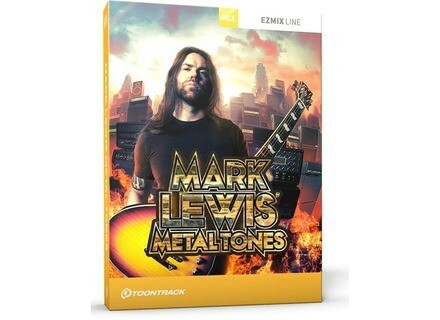 I look forward to what Toontrack will do with future EZmix 2 packs.